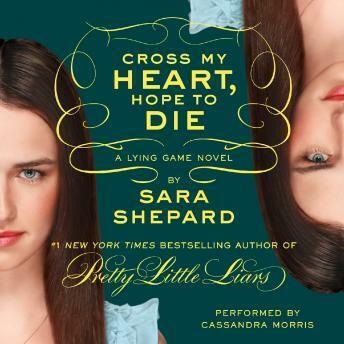 Cross My Heart, Hope to Die is the fifth title in the suspenseful and twisted Lying Game series by Sara Shepard, author of the #1 New York Times bestselling series Pretty Little Liars. Ever since Sutton Mercer's murderer tricked her long-lost twin, Emma, into coming to Tucson, Emma has been trying to solve the mystery of Sutton's death. And now someone else is back in town—Becky, Sutton and Emma's birth mother. As Emma gets closer to discovering what exactly happened the night Sutton was killed, she learns that Becky isn't all that she seems. Turns out Sutton wasn't the only Mercer girl with dark secrets. . . .
Love this series! I'm hooked! As soon as I finish one I'm dying to move on to the next! A must read!